Four cases into my Certified UFO Field Investigator career and I'm already completely fascinated by the psychology of UFO witnesses. These people are open, and funny, and smart, and sincere... and very revealing. 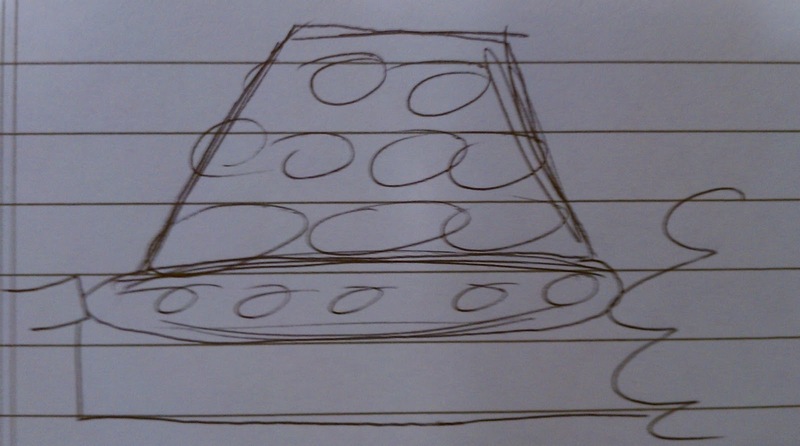 The sketch shows a "lampshade-shaped" object with a row of red lights along the bottom rim, and rows of white lights visible along the inwardly-sloping sides of the object, the rows of white lights growing smaller as they reach the top rim of the object. I showed this sketch to the daughter and asked her if this is what she had seen that night. 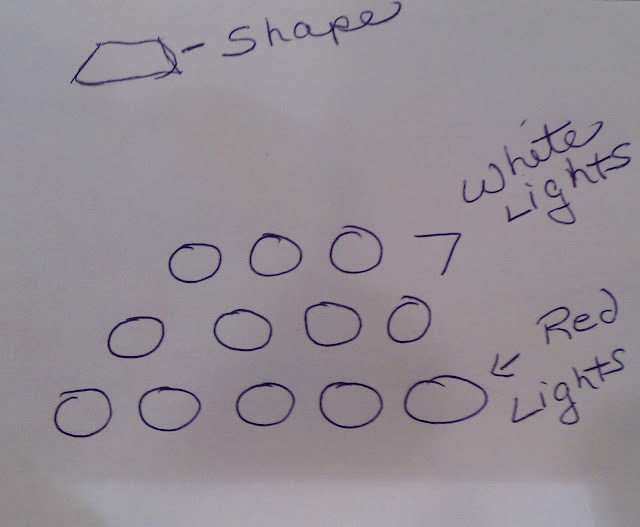 Astute readers will recognize at once that I should not have shown her the picture her mom had drawn, but I am still a rookie investigator -- a very skilled rookie with a lot of promise, but a rookie nonetheless. So, I ask the daughter if this is what she saw, and she shook her head "no" and rolled her eyes dismissively. 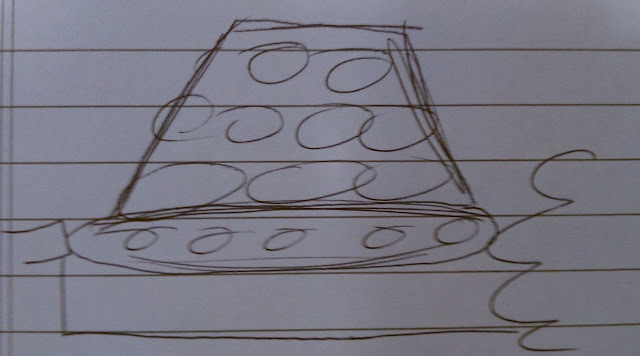 The sketch shows a "lampshade-shaped" object with a row of red lights along the bottom rim, and rows of white lights visible along the inwardly-sloping sides of the object, the rows of white lights growing smaller as they reach the top rim of the object. In other words, exactly what the mother's sketch had shown. So why was the daughter so dismissive of her mother's artistic interpretation? Why did she insist that her mother's sketch was all wrong, only to draw the exact same thing when it was her turn?